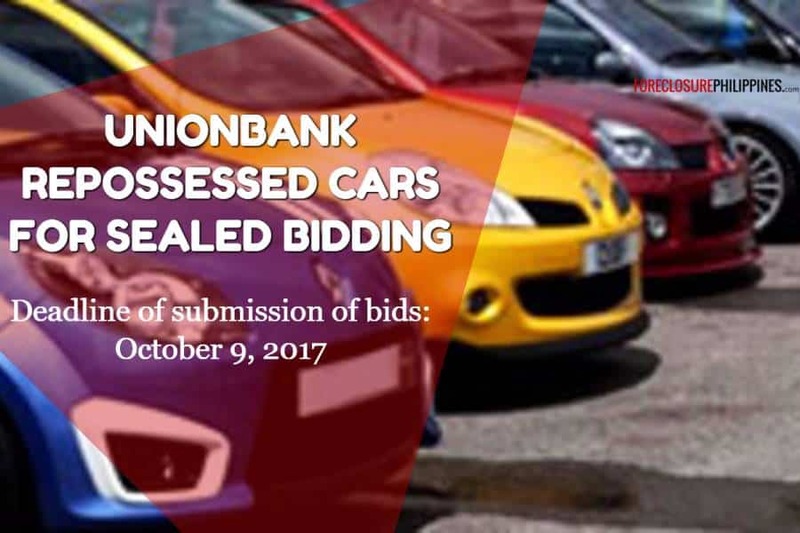 UnionBank of the Philippines shall conduct a sealed bidding of repossessed cars on Monday, October 9, 2017. 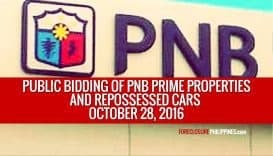 A total of 90 repossessed cars are included in the bidding. Details below. 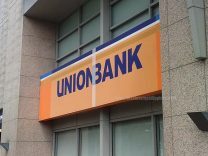 Sorry for the short-notice everyone, just found this list from Unionbank. Anyway, I remember quite a number of people have been asking for repossessed cars, so here’s one. Tip: When you are browsing the repossessed cars database, you can filter by adding a keyword for your preferred car model, make, etc. Example, if you are looking for a Vios, then add the keyword “vios” in the keyword search box. (There are actually 6 Toyota Vios cars in this listing). As usual, you may also download the list of repossessed cars below, in PDF format. BID FORMS ARE AVAILABLE AT ASSET RECOVERY GROUP, 25TH FLOOR UNIONBANK PLAZA, MERALCO AVE. COR. ONYX ROAD, ORTIGAS CENTER, PASIG CITY. BIDS SHOULD BE SUBMITTED TOGETHER WITH THE P20,000 (MANAGERS CHECK PER UNIT) AT THE ABOVE ADDRESS NOT LATER THAN OCTOBER 09, 2017. INSPECTION OF UNITS IS AT ABOVE ADDRESS. 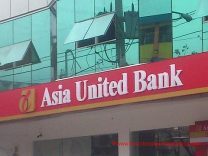 UnionBank may, at anytime, withdraw any of the units listed prior to bidding. 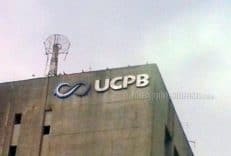 UnionBank of the Philippines is supervised by Bangko Sentral ng Pilipinas. For concerns, you may contact UnionBank at (02) 841-8600 and customer.service@unionbankph.com or the BSP Financial Consumer Protection Department at (02) 708-7087 and consumeraffairs@bsp.gov.ph.